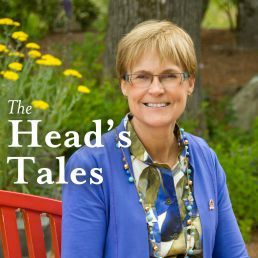 Home > News > The Head's Tales > Head’s Tale—What Makes a Great School? When you ask people what they are looking for in a school, they will first focus on academic excellence, opportunities for their child to be challenged, an abundance of extra-curricular offerings and most importantly, a safe, nurturing environment that will allow their children to thrive and strive. They will search for information about the school—its demographics, academic profile, its programming, leadership opportunities, and other global experiences. Parents will also look at graduation rates, post-secondary/scholarship opportunities, course offerings, and a school’s mission/vision proposition that aligns with their own values, hopes, and dreams. A consequence, however, of relying on only those things that can be quantified is not realizing the importance of an engaged community (inclusive of parents, staff, and students) and the importance of celebrating diversity and inclusion. These factors can only be appreciated by experiencing first-hand the confidence and competence our girls here at St. Margaret’s exude in all facets of school life. The strength of our girls’ voices is displayed in the school, at home, and in the community. During my years as an educator I have learned that a great education is not a passive experience but rather an active one that encourages students to take advantage of all the opportunities a school has to offer. Probably the most important measure of a school’s success is its ability to engage its students: healthy engagement is indicated by the extent to which students immerse themselves in the intellectual and social life of the school, by the way students accept failure as a means to test their current limits, and by how easily students are willing to develop a growth mindset that welcomes challenges as opportunities. Two students, arms around each other, demonstrating the power of our Big Sister/Little Sister program. A student and teacher sharing an experience at Outweek, where both were pushed outside of their comfort level and were able to celebrate each other’s accomplishments. The kitchen staff making goodies for the staff on pro-d days and welcoming new boarders by providing those comfort foods that remind students of the countries they have left to come to SMS. Our student leaders who give up their summer vacations to welcome our new students and families as they transition to life at SMS. Parents, staff, and students joining in a day of service to enhance the school campus or to recognize those less fortunate. An active Parents’ Auxiliary whose primary role is to welcome families and provide a multitude of activities to build community across the whole school. Students recognizing their peers at assemblies and concerts. Residence staff connecting with parents to celebrate the successes of their children in a myriad of ways. Students taking part in every aspect of school life and encouraging others to join them regardless of ability. Principals welcoming students at the start of each school day at the entrance of the school. Girls and staff alike hugging each other at Closing Ceremonies; grads showing appreciation for those individuals who have contributed to their success. All of these are prime examples of a school that cares, a place where expectations are high, where excellence is celebrated, but personal growth even more so, and finally, a place where the criteria for success is diverse, transparent, and co-created with students and families. St. Margaret’s is a great school. Its history is rich with with numerous examples of resiliency, consistency in its mission of Servite in Caritate, and its commitment to girls’ education over 110 years. There is an abundance of personal success stories of alumnae and current students that reflect our vision ofConfident Girls. Inspiring Women. I look forward to the chapters that will be written this year and invite all of you, current and interested families, to come be an integral part of what makes St. Margaret’s so much more than the facts listed on our website. Come with confidence and prepare to be inspired . . . or to be inspiring!